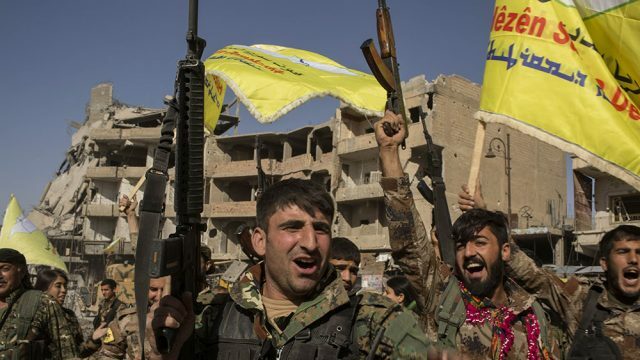 Terrorism: Nine months after President Trump promised to defeat ISIS "quickly and effectively," U.S.-backed forces captured Raqqa, which until Tuesday had served as the ISIS capital. The battle now is over who deserves credit: Trump or President Obama. Trump, not surprisingly, claims it for himself: "It had to do with the people I put in and it had to do with rules of engagement," Trump said in a radio interview. Before dismissing this as typical Trump self-aggrandizement, consider that for several years Obama insisted that a quick and decisive victory against ISIS was all but impossible. After belittling ISIS as a "JV" team and then being surprised by its advances, Obama finally got around to announcing a strategy to "degrade and ultimately destroy" the militant Islamic group. As his strategy dragged on and seemed to go nowhere, Obama kept telling the country that this was just the nature of the beast. "It will take time to eradicate a cancer like (ISIS). It will take time to root them out." "This is a long-term and extremely complex challenge." "This will not be quick." "There will be setbacks and there will be successes." "We must be patient and flexible in our efforts; this is a multiyear fight and there will be challenges along the way." And he kept insisting that winning the war against ISIS has as much to do with public relations as it did weapons. "This broader challenge of countering extremism is not simply a military effort. Ideologies are not defeated with guns, they are defeated by better ideas." What Obama didn't say is that reason defeating ISIS was taking so long was of how he was fighting it. A former senior military commander in the region told the Washington Examiner that the Obama White House was micromanaging the war "to the degree that it was just as bad, if not worse, than during the Johnson administration." Johnson, you will recall, once bragged that "they can't bomb an outhouse in Vietnam without my permission." Contrast this with Trump. Rather than talk endlessly about how long and hard the fight would be, Trump said during his campaign that, if elected, he would convene his "top generals and give them a simple instruction. They will have 30 days to submit to the Oval Office a plan for soundly and quickly defeating ISIS." Once in office, Trump made several changes in the way the war was fought, the most important of which were to loosen the rules of engagement and give more decision-making authority to battlefield commanders. Republican Sen. Lindsey Graham, who can hardly be called a Trump lap dog, praised what he said was "a dramatic shift in a very positive way — away from the political micromanaging of the Obama years to freeing up generals and troops to destroy ISIS." The result of this shift seems pretty obvious. In July, ISIS was booted from Mosul, and this week Raqqa was liberated. For all intents and purposes, ISIS has been defeated. Trump did in nine months what Obama couldn't in the previous three years. Trump's critics will insist that victory was inevitable, given that Obama had severely degraded ISIS over the previous years, and that all Trump did was continue Obama's strategy. But the bottom line is that while Obama preached patience, Trump promised a swift end to ISIS, and then delivered on it.